An advance look at how the economy was doing in the second quarter shows improvement over the first three months of the year -- but not much. 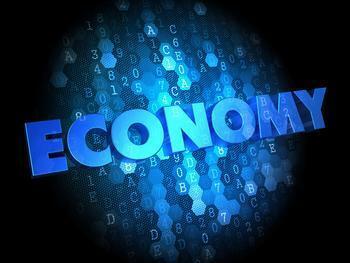 The Commerce Department reports real gross domestic product (GDP) increased at an annual rate of 1.2% after expanding at an anemic rate of 0.8% from January through March. This “advance” reading is based on source data that are incomplete or subject to further revision. A second estimate will be released in about a month. The second-quarter increase in real GDP in the second quarter is the result of growth in personal consumption expenditures (PCE), or consumer spending, and exports. They were partly offset by declines in private inventory investment, nonresidential fixed investment, residential fixed investment, and state and local government spending. Imports, which are a subtraction in the calculation of GDP, were lower. The acceleration in real GDP growth in the second quarter from the first comes from a pickup in PCE, an upturn in exports, and smaller drops in nonresidential fixed investment and in federal government spending. A larger decrease in private inventory investment, and downturns in residential fixed investment and in state and local government spending, offset that acceleration. The price index for gross domestic purchases increased 2.0% in the second quarter, after edging 0.2% higher in the first three months of the year. The PCE price index increased 1.9%, compared with an increase of 0.3%. Excluding food and energy prices, the core PCE price index was up 1.7% versus an increase of 2.1% in the previous quarter. Disposable personal income -- what you have left after taxes -- rose 3.1% in the second quarter, up 0.6% from the first quarter. Real disposable personal income (adjusted for inflation) rose 1.2%. Personal saving totaled $763.1 billion in the second quarter for a personal saving rate -- personal saving as a percentage of disposable personal income -- of 5.5%, compared with 6.1% in the first quarter. The full report may be found on the Commerce Department website. 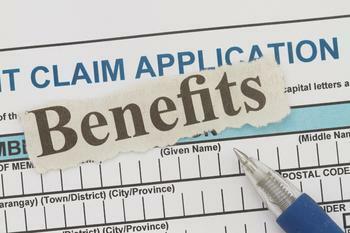 The number of people filing applications for first-time state unemployment benefits shot higher last week. According to the Department of Labor, (DOL) initial jobless applications jumped by 14,000 in the week ending July 23 to a seasonally adjusted level of 266,000. The previous week's level was revised down by 1,000. Even with the increase, the initial claims level has been below 300,000 for a 73rd consecutive week, the longest streak in some 43 years. The four-week moving, which lacks the weekly tally's volatility and considered a more accurate gauge of the labor market, was down 1,000 to 256,500.